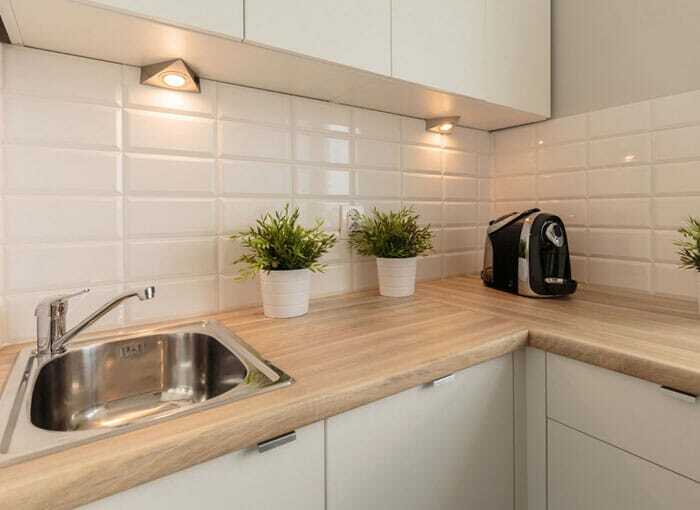 At HC Supplies, we have a selection of beech worktops that's simply unrivalled. Beech worktop are a natural favourite in kitchens across the UK thanks to their sturdiness and their warm colouring that will match almost any kitchen. We offer two varieties of beech worktop for you to choose that perfect grain pattern that suits you. Our solid beech worktop offer a smoother, straight grain for a more uniform and sophisticated look, whereas our rustic beech collection offers you a more colourful and more natural feature-filled look. Beech worktops is naturally durable and resistant to bacteria, making it the perfect addition to any bustling kitchen environment. A beech block worktop is a stunning addition to any kitchen, and just like all natural wooden worktops, it only gets better and better with age. Fitting your solid beech worktops is easy, and thanks to the versatility of wood, you can sand it down to any shape or size to fit your kitchen. You can always find the perfect beech worktop for your kitchen at HC Supplies! We also stock beautiful walnut kitchen worktops, solid oak worktops, iroko wood kitchen worktops, and so much more! 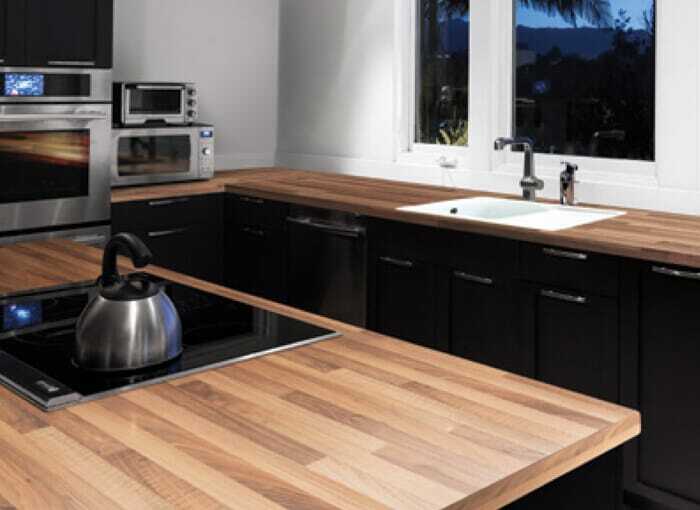 From our laminate worktops range, you may feel a beech laminate worktop is more suited to your kitchen design. You'll get the traditional beech effect at a fraction of the cost. Perhaps the best thing about our solid beech worktop is that all our wood is responsibly sourced from sustainable farms, so you're protecting natural beech forests when you buy your worktops from HC Supplies! The quality of our solid wood worktop range is simply unrivalled. As you will see from our solid beech worktop selection that once installed, it will only grow more beautiful in time. When you install your solid beech worktop, you'll soon understand and see that it's built to stand the test of time, even withstanding the busiest of kitchen environments. Our beech block worktop range makes for a wonderful addition to your kitchen, robust and naturally elegant, you'll be pleased with your purchase, that's a guarantee! 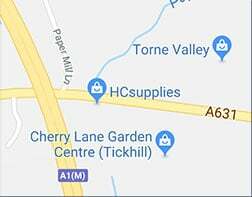 At HC Supplies we believe we offer the best selection of cheap kitchen worktops at the best prices around and offer a no fuss guarantee for your 100% satisfaction. Our beech worktop range is usually available for delivery within just 2-7 working days. Why not visit our showroom situated in Doncaster, South Yorkshire and sample our fantastic range of solid wood worktops? Our staff are highly experienced and friendly to ensure you get the best possible advice when choosing the perfect beech block worktop for your kitchen.